I’ve learned a new word. Rather, words. Form blasting. The deliberate mass spamming of contact forms on websites. For a while I’ve been vaguely puzzled by the amount of messages caught in my spam filter that have been sent via my own website’s contact form. And other such inspiring messages clearly written by someone who has spent hours poring over my humble offering. Tweak my SEO, buy social media hits, redesign the site … those are the main ones. 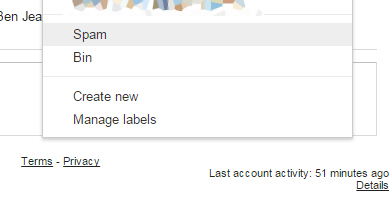 It’s not a great headache as Gmail’s spam filter really is pretty good. It baffles me more than anything else. One reason I have a contact form on my website is so that I don’t have to publish my email address, and hence (in theory) I get to reduce spam, as people who want to talk to me will have to take the time to enter a message in the form manually. But apparently that happens anyway. And then the other day I read this one (which was also caught in the filter). And there it is. Form blasting. There really are people paid to do this kind of thing. So out of interest I visited spammers-R-us.com (note: not their real name; they’re not getting even that minuscule amount of publicity). The page extols the virtues of form blasting as a communication method. What are “contact us” pages? Virtually any website has them, it’s the method any website will use to allow you to contact them. It’s usually a simple form that asks for your name, email address and message and once submitted will result in the person or business receiving your message instantly! Unlike bulk emailing, there are no laws against automated form submission and your message will never get stuck in spam filters. We can’t think of a better way to quickly reach a large volume of people and at such a low cost! So, just in case there are people out there who are considering falling for this kind of thing – maybe researching form blasting, weighing up the pros and cons, wondering if these people are bona fide or not – here’s why it might not be a good idea. 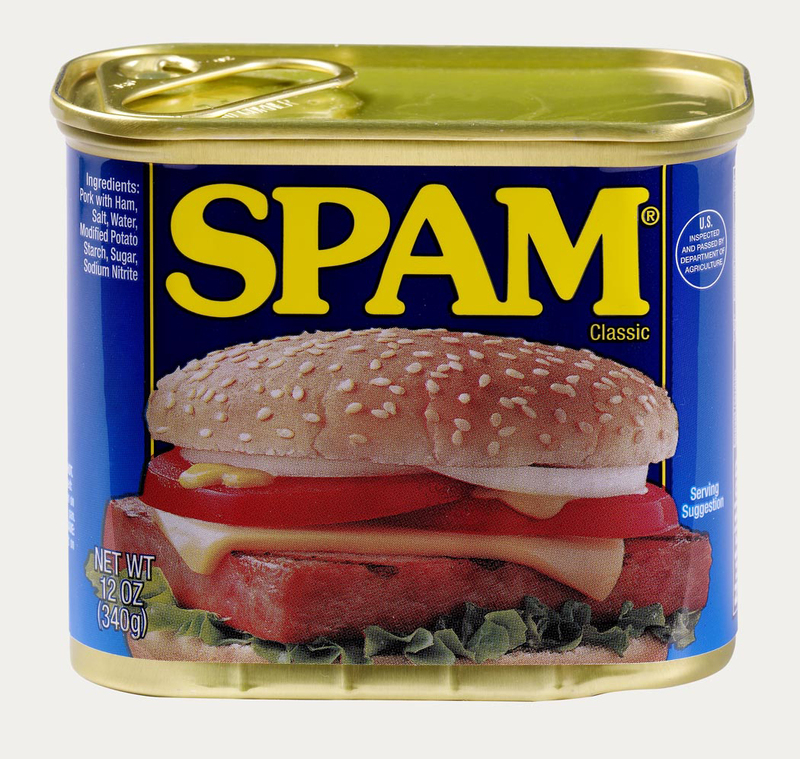 Because it’s spam. Pure and simple. Ah, but it’s not spam, is it? At least, not according to their FAQ. Q: Is form blasting spam? A: No, in fact there are no clear laws against automated form submissions. After all, the only reason why a business would have a contact form on their website is to get in touch with customers and other businesses. Also, with form blasting the impact of spam filters is minimal and you will get your message out successfully to more people than you would with a mass email blast. True. So form blasting is technically legal. Do you really want to engage future customers, build a relationship of trust, starting from the point that what you’re doing is technically legal? Does that really sell your company as one that is worth doing business with? After all, the only reason why a business would have a contact form on their website is to get in touch with customers and other businesses. And the only reason I have a letter box in my front door is so that people can post things to me. The concept of unsolicited mail still applies. I expect to receive letters, bills, contracts, cheques, bank statements … the usual treeware-based paraphernalia of life in the early 21st century. Unsolicited mail still goes straight into recycling, unopened. And consider that, like mine, the point of having the form may be to avoid receiving spam in the first place. Look also at that curious use of the word “business”. I’m not a business. I’m a writer with a full-time day job. I like people to buy my books, yes, and I engage in a certain amount of self-publicity. The website is one example. Through this I earn a little money and declare a little tax. But I’m not a business. Doesn’t matter to spammers-R-us.com. I’m a contact form, that’s all. That is how well spammers-R-us.com choose their targets, boys and girls. Also, with form blasting the impact of spam filters is minimal and you will get your message out successfully to more people than you would with a mass email blast. Ooh, look! 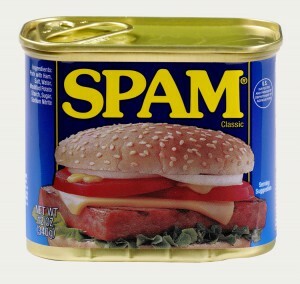 It’s my spam menu! And that’s your message in the background! Can you guess what I’m doing to it? Can you? So despite this categorically not being spam, they are aware that spam filters present a problem. How strange. Even stranger is that most of these that I get end up in my spam filter anyway. Funny that. So, potential customers of spammers-R-us.com, spammers-R-us.com is lying to you. Almost (almost) every message I have seen like this has been caught by Gmail’s spam filter. Those that aren’t, I mark as spam for Gmail’s benefit. And bear in mind that one of the keys to Google’s success is that its products learn. And even if I do see it, am I going to use your services? Or let’s put it another way. If you actually do offer a service that I am likely to want – stranger things have happened – and you don’t spam me, then one day, who knows, I might (might) do a Google search, and find you, and take what you have to offer. A mutually beneficial relationship – your services for my money – might ensue. Might. But if you form blast me, even if you are offering something I want, then by the Nine Gods, by Grabthar’s Hammer and by the surly beard of Mrifk himself I swear I will never, ever use your services. If you’re offering something I want, so are others. So: you don’t form blast, you might get my money. You form blast, you absolutely won’t. Your choice. Don’t form blast. You’re better than that. This entry was posted in pensées and tagged form blasting by Ben. Bookmark the permalink.